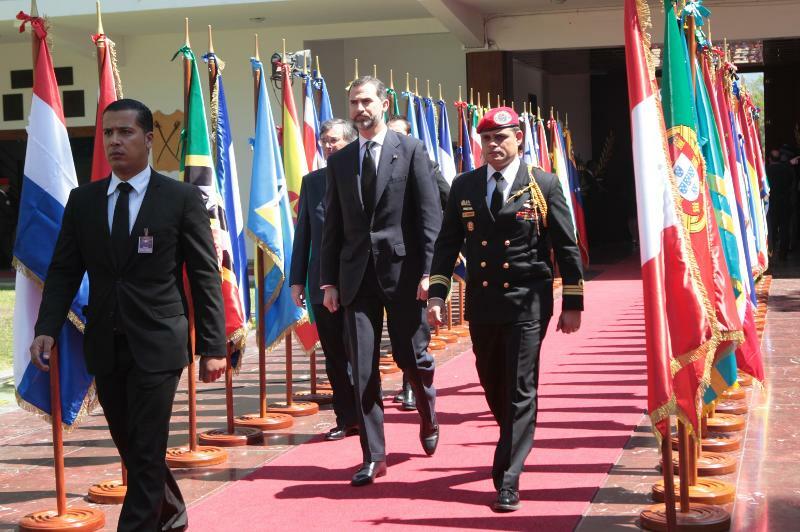 Prince Felipe, who usually attends inauguration ceremonies for Latin American leaders, will skip the one for Nicolás Maduro in Venezuela. News reports indicate that the Spanish government wants to keep the Prince away from the ongoing controversy over the election to replace the late Hugo Chavez as President. 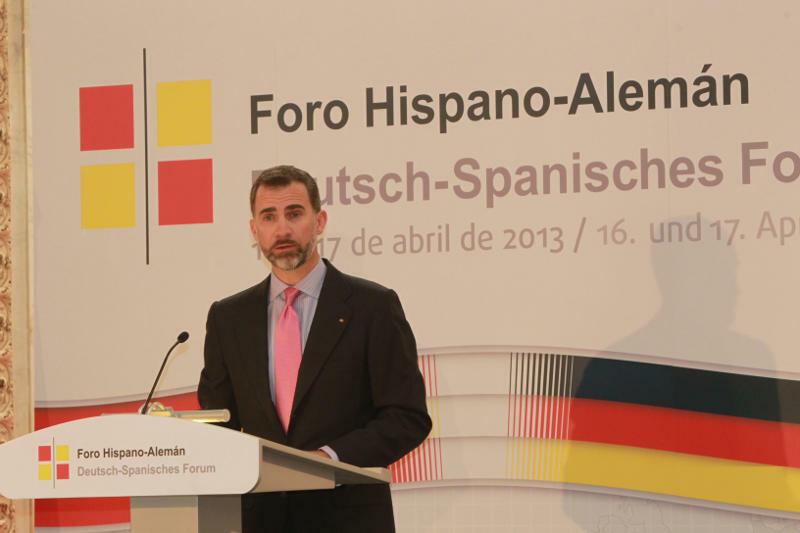 Prince Felipe speaking at a German-Spanish Forum, where he called for greater solidarity in solving current problems. Prince Felipe did attend the funeral for Chavez, which had him sitting near Iranian President Mahmoud Ahmadinejad. Today former Madrid Community President Esperanza Aguirre attended the funeral of former British Prime Minister Margaret Thatcher. 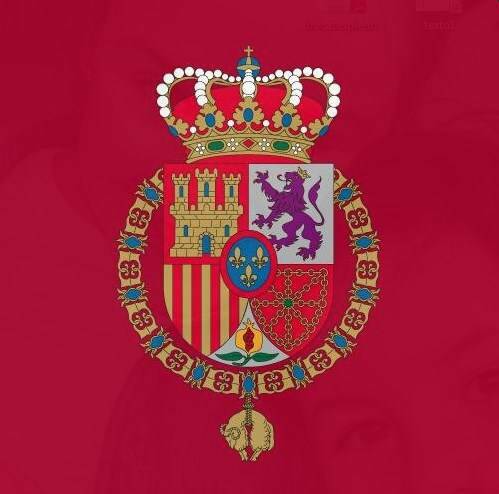 Aguirre is Countess of Murillo, a Grandee of Spain and also Honorary Dame Commander of the Order of the British Empire.